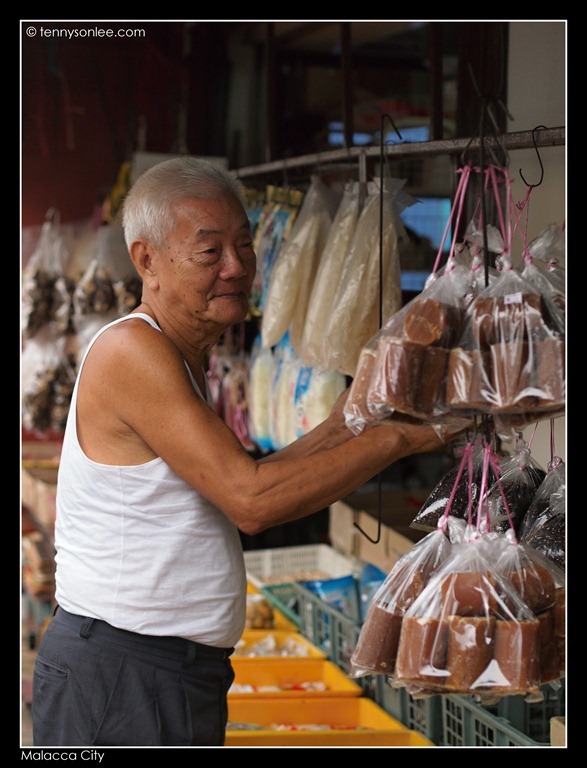 As a living heritage town, Malacca City has many local residences making a living from various trades. 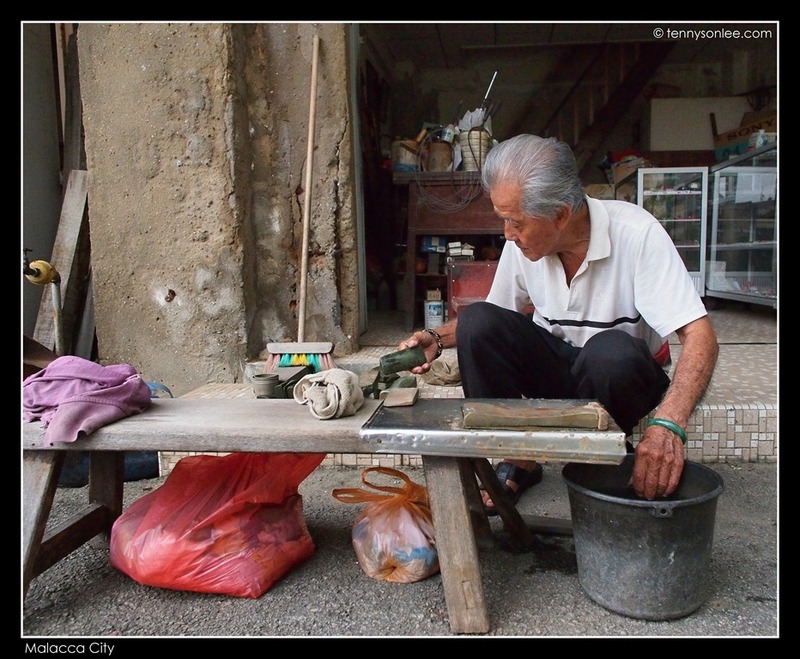 This uncle was polishing the rocks used as knife sharpeners. 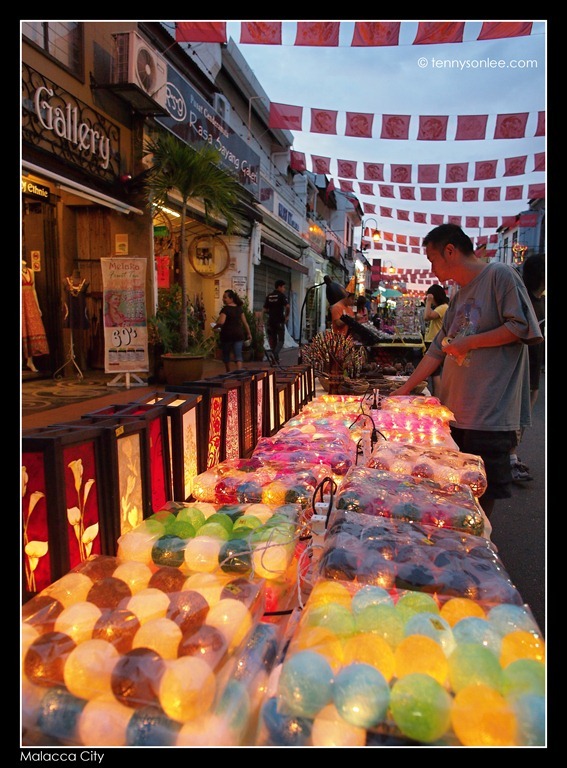 If you are visiting the tourist area, you would meet many traders selling souvenirs. One of the store is managed by Ms Hoe ( 何雪梅 ). 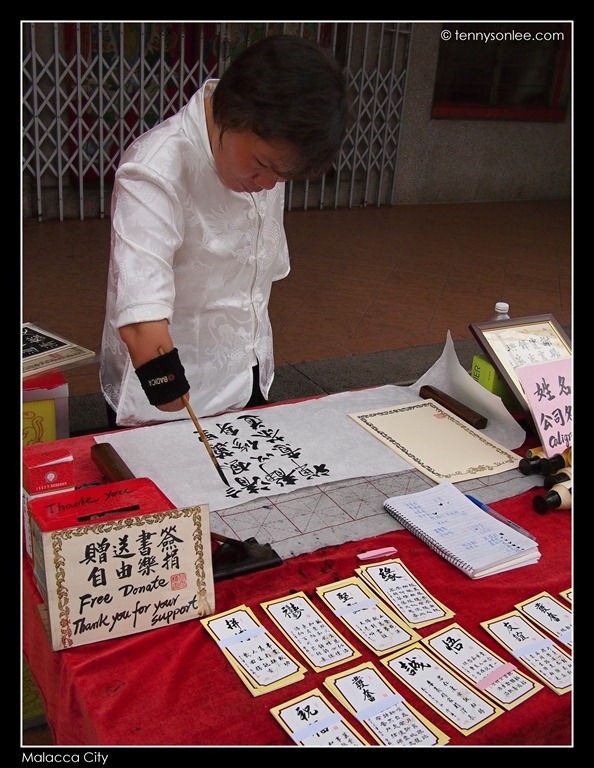 She writes excellent Chinese Calligraphy. Ms Hoe can make a poem out of your Chinese names filled with blessings. 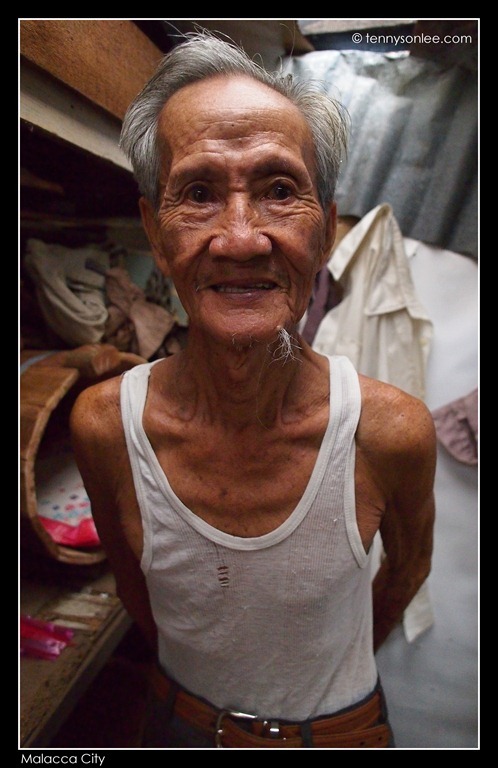 Mr Tan ( 陈卓添 ) is living alone at a make shift hut next to the Hang Jebat’s Mausoleum. He earns basic wages at elderly age as a carpenter making wooden containers. 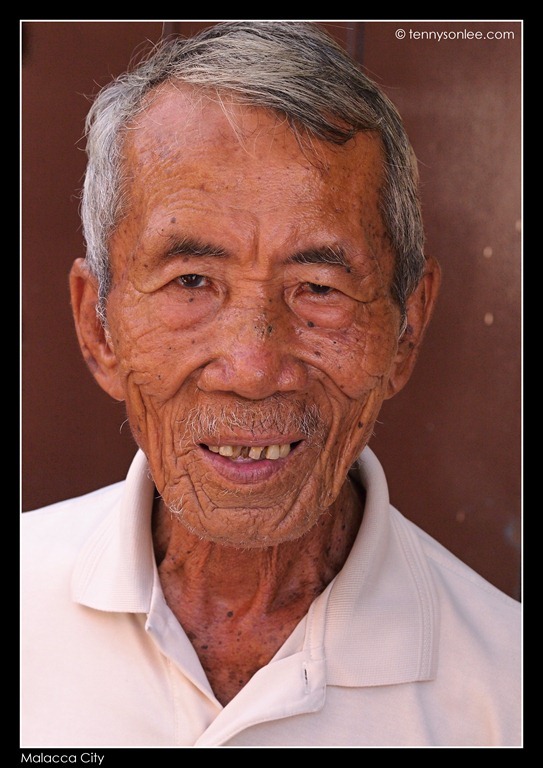 Many local folks are happily working at their golden age, with no sign of retiring. It is a good way to keep both body and mind busy. Some could even take the opportunities to chat with tourists. Life is more meaningful when we find meanings in whatever we are doing. Live honestly is an earnest way of living. Why retire as couch potato when we still have so much to offer to the society? 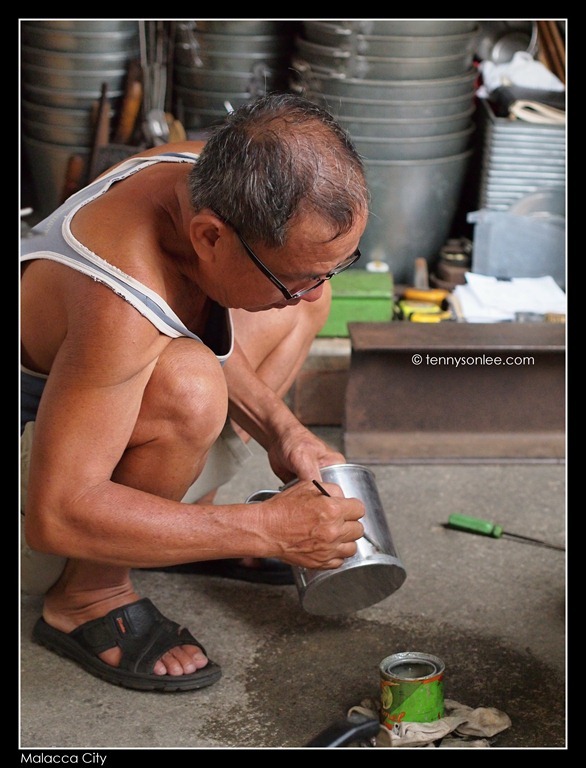 Mr. Choo has been painting oils and batik for more than 40 years. 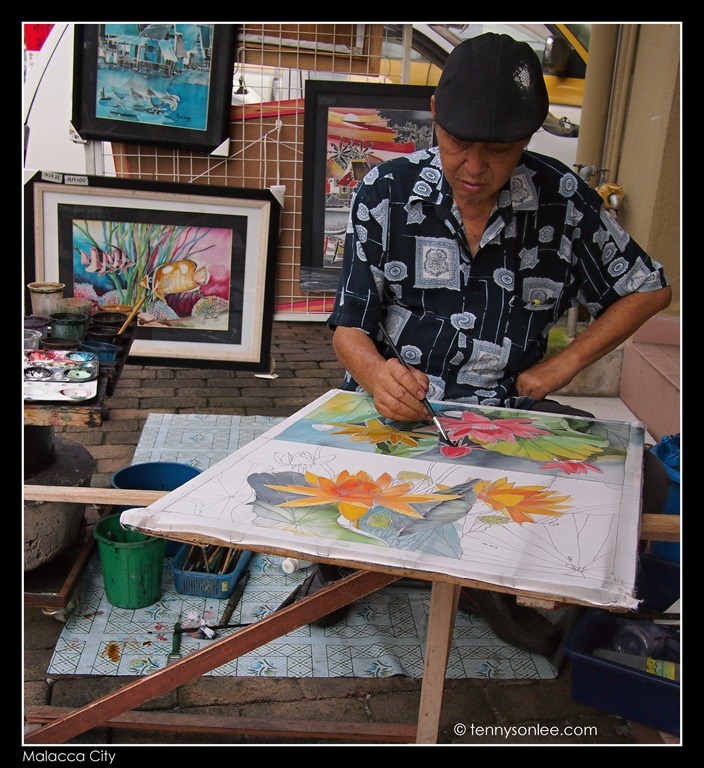 He is doing his part in keeping the Malaysian art of Batik Painting alive. This entry was posted on March 4, 2012 by Tennyson. It was filed under Malaysia, Melaka, Places and was tagged with Malacca, Melaka, People at work, World Heritage Site.